The Angels Among Us award, which recognizes individuals who have made exceptional and lasting contributions to St. Jude, was presented to Owen Saturday, Jan. 27, by its namesake Alabama lead-singer Randy Owen and Richard Shadyac Jr., President and CEO of ALSAC, the fundraising and awareness organization for St. Jude Children's Research Hospital. For more than 13 years, Owen has supported St. Jude Children's Research Hospital through spending time with St. Jude patients and their families at the hospital, calling in and attending radiothons, providing auction items, performing and participating in the Darius and Friends Show benefiting St. Jude. He also hosts an annual Hometown Benefit in Vero Beach, FL that donates to St. Jude through his recently created Jake Owen foundation. Because of supporters like Owen, families at St. Jude never receive a bill for treatment, travel, housing or food – because all a family should worry about is helping their child live. "I feel like it's our duty as a country music entertainers to give back, and I hope that others in the industry will follow my lead, just as I have followed Randy and so many others in the fight against childhood cancer," said Owen. "I don't find there's anything else that's as valuable as helping kids at St. Jude." This recognition places Owen among the ranks of six past recipients, including Alabama front man and co-founder of Country Cares for St. Jude Kids, Randy Owen. Recipients also include 2018 award-winner Brad Paisley, country artist John Rich, former ALSAC Chief Operating Officer David McKee (posthumously), St. Jude Country Cares Advisory Board member, Sharon Eaves(posthumously) and country music artist Darius Rucker. 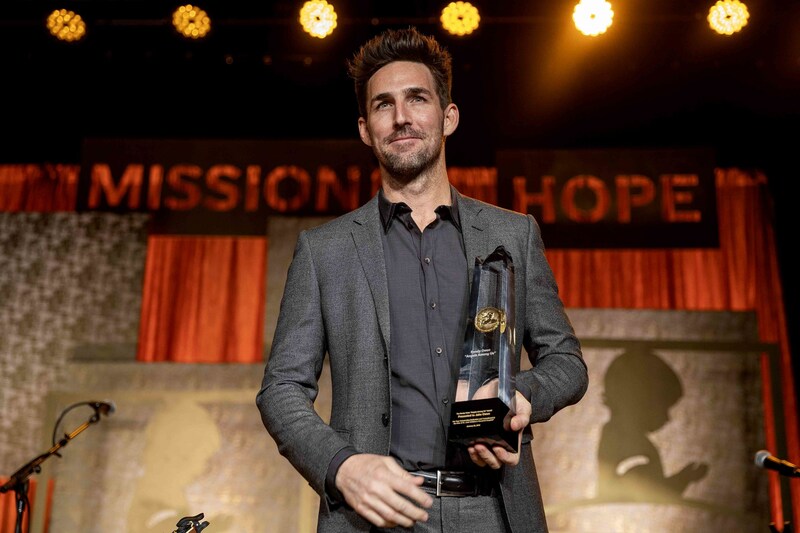 "This recognition is well-deserved and we are so proud to honor Jake Owen for the heartfelt commitment he's shown to our St. Jude patients and families," said Richard Shadyac Jr., President and CEO for ALSAC, the fundraising and awareness organization for St. Jude Children's Research Hospital. "Jake, along with the rest of the country music industry, are like family to us, continually devoting their time, love and voices to the mission of St. Jude Children's Research Hospital, and the work they do is critically important to our future success."